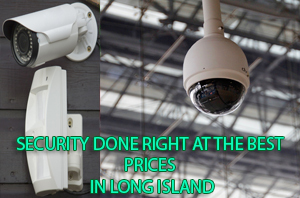 We provide professional and affordable surveillance security camera system installations in Long Island. Our services include new installations, security system upgrades, replacement of current cameras, and tipical cabling or IP based cameras for your home or businesses in Long Island. Covering both Suffolk, and Nassau counties. You want to protect your family, your belongings, and your business. But, you shouldn’t have to break the bank to do it. That’s why our Security Surveillance Systems in Long Island are so popular with our customers – there are no monthly fees and no contracts to sign. Do you want your home to be protected against theft and break-ins without the burden of high monthly fees? Don’t wait until your family is a victim of crime. Call LI Computer Repair to find out more about our Security Surveillance System, and for a free home or business security needs assessment. See how affordable a video security system can be. Discuss Your Options With Our Experts! FREE! 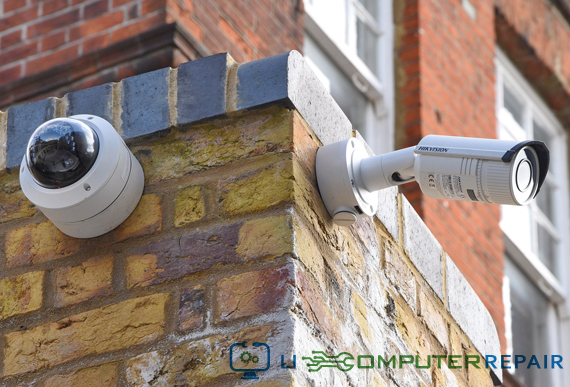 We have years of experience in Security Surveillance solutions and our experts are ready to help you understand the different types of cameras you can use for your home or business in Long Island. Call us today (631) 805-3409! Let’s face it: you’re busy. Your day doesn’t have defined hours, and you can’t always plan to be at a certain place, at a certain time. Fortunately, with a CCTV system, your security is ready when you are. You can access your live feed anytime, from anywhere, with your compatible smartphone or tablet, meaning that you can be on the go and in the know at all times. Motion detectors can trigger an email alert, so you’re always on top of what’s going on and in a position to take control of the situation. You never need to leave your security to chance again. Reliable -Fast Service. All work is guaranteed! Quick Installs Just tell us what you want to see -and that will record. Professional Installation Neat wiring, Access on your screen and mobile App. Why Choose Our Security Surveillance System in Long Island? Once it’s installed, you shouldn’t have to think about your business or home’s security system, worry that if you forget to pay a bill it will shut off or even consider whether a higher-priced package will protect you better. Once installed, the HD Security Cameras system is working for you – protecting your family and your business 24×7. Our complete, turn-key security systems, can be as large or as small as your home or business requires. Scalable Security system designs let you expand your system – but on your time, at your pace. If you have to move, you can take your system with you. No reactivation fees. No new registration. Just take your system down and set it back up again the way you did upon purchase. With 4Ch, 8Ch, 16 or more Channel systems are available for your home or business, protecting all points of entrance including windows, doors, front, sides, and back of the premises; you can be sure your most important asset will be protected at all times.